I say again, whether these things are properly understood or misunderstood, they are not any part of the teaching authority of the Church, and must not be used to judge a Pope's fidelity to the Catholic faith, even if a he should commit a gaffe or carry out an unwise policy. This isn’t a modern occurrence. We had a controversy back in the Middle Ages where the Pope of the time—John XXII [*] (reigned 1316 to 1334)—spoke in sermons on a theme he had written on prior to his election concerning the beatific vision. In these sermons (and pre-Papal writings), John XXII described the beatific vision (seeing God) as something which would not happen until the final judgment. Until that time, people’s souls slept. This issue had not been formally defined as of this time, but a majority of theologians at the time held that the souls of the departed did see God after death. So this was a concern. Was the Pope teaching that that what was commonly held by Catholics was actually false? So, the Pope was offering his private opinion and, when given good reason to abandon his opinion as not being true, rejected his former view in favor of one which fit better with Scripture and Tradition. The only people who tried to tar him as being heretical were those groups who were rebuked [†] (such as the “Spiritual Franciscans” or Fraticelli who held to a rigorous interpretation of the Rule of St. Francis) and wanted to discredit him. He was not a heretic, but some who want to discredit modern Popes cite him as an example of a “heretical Pope." The key words are obstinate and divine and Catholic faith. If the Pope commits a gaffe which might be interpreted by some as supporting error, the question is, does he obstinately hold to it? Or is he just being unclear and not intending what the people claim he means? It’s only when someone digs in their heels and refuses correction from the magisterium that he or she becomes a heretic. So, why do I bring this up? Because some people are concerned about the current Pope and the fact that some of the things he says in his press conferences seem unclear without deeper study [§]. Some would actually accuse the Pope of being a heretic on account of that confusion (on the part of some) as to what he means. Other Catholics who want to be faithful feel unsure when presented with forceful arguments and begin to doubt. That’s nothing new. 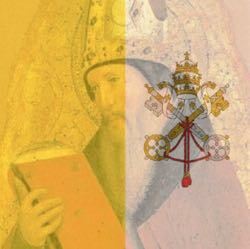 The case of John XXII shows that gaffes do exist throughout history but those gaffes do not prove the existence of heretic popes. That’s not because every Pope was perfect or geniuses (they weren’t). It’s because we trust God to protect the Pope from teaching error in a matter involving our salvation. The Pope isn’t teaching in a binding manner in a press conference or a private book or the like and we should stop thinking that he is and stop accusing him of error. [*] Not to be confused with St. John XXIII. The two popes lived reigned over 600 years apart. [†] Does this sound familiar compared to today? [§] Which few ever attempt. Most of his critics insist on what they call the “plain sense” of his words and label any deeper study as “attempting to explain away.” But keep in mind St. Peter warned the Church that St. Paul wrote on things not easy to understand which “the ignorant and unstable distort to their own destruction, just as they do the other scriptures.” (2 Peter 3:16). So the “plain sense” is not always the true sense.